You might be wondering how exactly this beef originated, so to satisfy your curiosity, we’ve compiled a complete timeline of the Drake vs. Pusha-T beef. After some digging, we’ve determined that the origin of the Drake vs. Pusha-T beef dates back 15 years to a dispute over a Birdman song called “What Happened to That Boy.” Before he went solo, Pusha-T rapped alongside his brother No Malice as Clipse, working closely with production duo The Neptunes, comprising Chad Hugo and Pharrell Williams. Clipse was a featured artist on the Birdman track, with The Neptunes handling production duties. According to Hot 97’s Ebro in the Morning, there was allegedly a dispute over paying Hugo and Williams for their work, and Pharrell never worked with another Cash Money Records artist again. A few years later, another Cash Money artist, Lil Wayne, wanted to adopt the skater meets hip-hop aesthetic that Pharrell had been rocking for years, being one of the first in U.S. hip-hop to wear A Bathing Ape, introducing it to Clipse. Pharrell also had his brand Billionaire Boys Club, and according to Ebro’s intel, Lil Wayne asked for some of the brand’s gear back in the day, only to get refused. Over the next few years, there was continuing back and forth between the G.O.O.D. Music affiliate and the head of OVO Sound. Pusha-T fired shots at Lil Wayne on “Your Favorite Rapper” and Drake responded by threatening violence on “Tuscan Leather” from 2013’s Nothing Was the Same. Pusha then dropped a video for “Suicide” on the same weekend Drake was set to headline Saturday Night Live in 2014, spitting bars like, “You caught steam off headlines and co-signs,” referring to Drake’s 2011 hit. 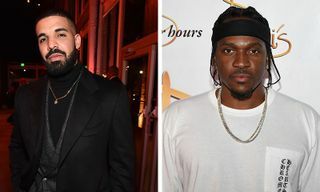 With “Infrared” on Pusha-T’s latest album DAYTONA, Push has reheated the beef between himself and Drizzy. 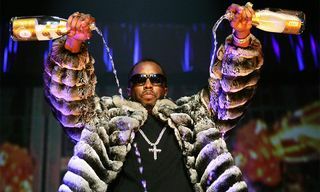 On the track, he calls out Drake for using ghostwriters (a diss we’ve seen before and covered extensively here), with lines like, “The lyric pennin’ equal the Trumps winnin’ / The bigger question is how the Russians did it / It was written like Nas, but it came from Quentin.” Push’s line refers to Quentin Miller, who allegedly ghost-wrote Drake’s verse on Meek Mill’s “R.I.C.O.” from 2015. …which, of course, Drake, being the petty Scorpio that he is, did — sending an invoice for $100,000 to G.O.O.D. Music and Def Jam for “promotional assistance and career reviving.” Or at least, he posted a picture of an invoice on Instagram. Things went nuclear on May 29 when Push dropped “The Story of Adidon.” The single’s artwork depicts Drake in blackface, allegedly an unaltered photo from 2008 taken by David Leyes for a “Jim Crow Couture” clothing campaign for a brand called Too Black Guys. 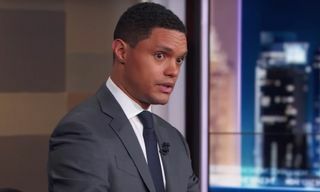 The song employs No I.D.’s beat for JAY-Z’s “The Story of O.J.” a video that featured minstrelsy imagery similar to the photo released with “The Story of Adidon.” The artwork has since been removed from Instagram. 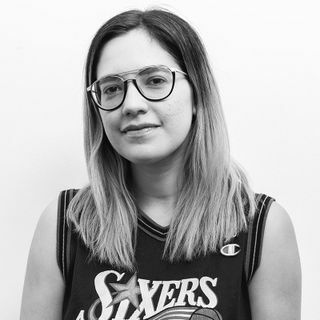 On the “The Story of Adidon,” Pusha comes at Drake from every angle — dissing his parents, referring to his trusted producer Noah “40” Shebib’s Multiple Sclerosis, his rumored deal with adidas, and, most notably, claiming that he fathered a secret son with former adult film star Sophie Brussaux. 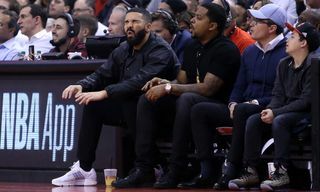 Since the release of “The Story of Adidon,” Drake has remained quiet. That’s likely at the request of music mogul J. Prince. 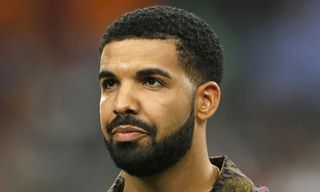 The CEO of Houston-based Rap-A-Lot Records (who is often considered a mentor to Drake after introducing the rapper to Cash Money Records) spoke recently about his role in preventing Drake from retaliating. On June 2, Prince appeared on DTLR Radio to discuss the matter, stating that he had asked Drake to leave the matter be. Ja Rule went on to state that his 2003 track “Loose Change,” which threw shade at Fiddy, Eminem, and Dre, is actually the most disrespectful diss track of all time. 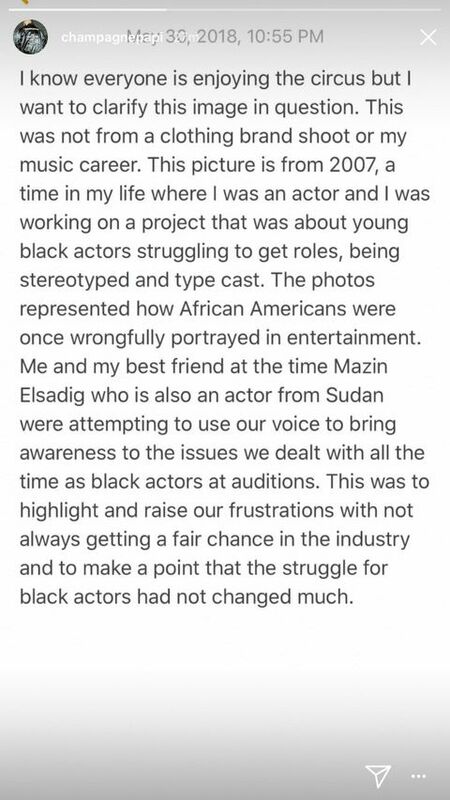 But it wasn’t long before that claim was savagely shut down by 50 Cent on Instagram. Nothing like some well-publicized beef to deliver a dose of FOMO to those not involved, huh? 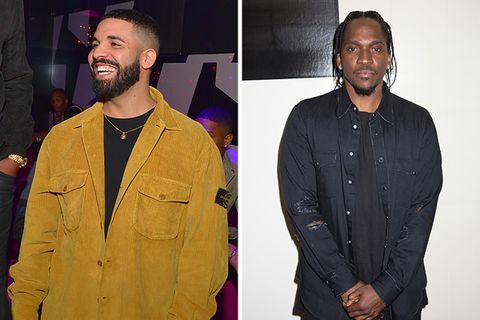 There you have it, the complete history (so far) of the beef between Pusha-T and Drake. Stay tuned to see if Drake has anything to add to the matter on Scorpion, which is due to drop later this month. 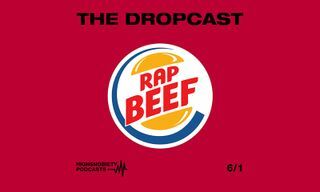 What do you think about the beef? Let us know in the comments below. For more moments in rap history, be sure to revisit our brief history of the Joe Budden vs. Migos beef right here. So Who Won the Drake vs. Pusha-T Beef?